New Orleans is always on my mind at this time of year. Mardi Gras is more than just Fat Tuesday in the Big Easy, and the celebrations extend far beyond Bourbon Street: parades take place all over the city for several weeks, culminating in a weekend-long party with multiple parades per day. Schools and offices close for Lundi Gras and Mardi Gras. Intersections are blocked; buses are re-routed. In my memories from the years I lived there, I’m often walking: from a parking lot to a parade route, carrying folding chairs and an ice chest; along St. Charles, darting through the crowd to find a good vantage point; swept up in a mass motion toward the French Quarter as the parades rolled by. If I want to walk that stretch of the city now, I do it by turning the pages of classic literature set in New Orleans. 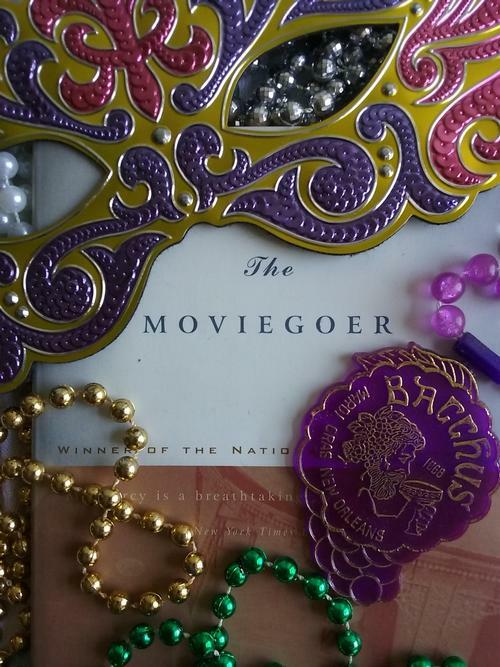 The Moviegoer is one of few novels that actually take place during Mardi Gras: protagonist Binx Bolling, nearing thirty years of age, experiences something of an existential crisis in the days leading up to Fat Tuesday. Binx is struggling to find a place for himself in New Orleans, where distinctive neighborhoods like the French Quarter alienate him with their over-the-top sense of "placeness," while his dreary suburb and professional life drag him down with their "everydayness." It’s no coincidence that his philosophical struggle reaches a turning point during a carnival in which social mores and expectations are turned on their heads. Carnival is supposed to be a time of revelry, but also of flux and change. It is lunch hour on Canal Street. A parade is passing, but no one pays much attention. It is still a week before Mardi Gras and this is a new parade, a women’s krewe from Gentilly. A krewe is a group of people who get together at carnival time and put on a parade and a ball. Anyone can form a krewe. Of course there are old krewes like Comus and Rex and Twelfth Night, but there are also dozens of others. The women’s krewe was possibly the Krewe of Pandora, although there are several more women-only krewes today. In Walker Percy’s time, the women’s krewes were bucking tradition—although, of course, to buck tradition is precisely the point. Canal Street, the central artery or "Main Street" of New Orleans, is usually the final stretch of Mardi Gras parade routes after they roll down seven miles of tree-lined St. Charles Avenue. Canal Street also divides the downtown business district from the historic French Quarter, so in many ways, this central street acts as a crossroads for Binx as well as the parading New Orleanians around him. 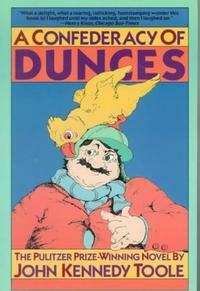 It’s difficult to choose just one of the vividly-described New Orleans neighborhoods from A Confederacy of Dunces. 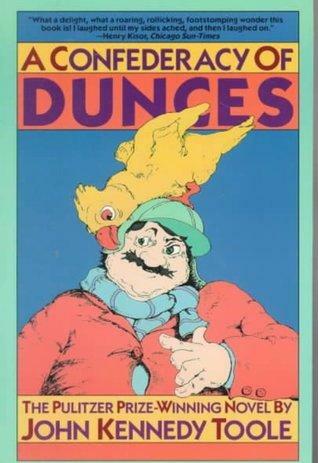 The irascible antihero Ignatius Reilly and his mother live in the Touro neighborhood south of St. Charles, goes to movies in the historic Garden District Prytania Theater, and tries his hand at a few odd jobs in the French Quarter—all with outlandish results. It’s also difficult to choose just one French Quarter location to associate with Mardi Gras. One of the few true grids in a city of curves and diagonals, the French Quarter is actually dominated by Spanish colonial architecture, with courtyards hidden behind multi-story structures with shutters and balconies facing the street. Today, those streets are lined with every kind of attraction from high-end boutiques and hotels to rowdy bars and clubs, while the upper floors are frequently converted into apartments for tenants who don’t mind the high rent and 24-hour cover bands below. But at the time that Confederacy was written, the French Quarter was not a fashionable destination, as the melodramatic Ignatius vehemently informs his boss at Paradise Vendors. "I'm gonna put you down in the French Quarter." "What?" Ignatius thundered. "Do you think that I am going to perambulate about in that sinkhole of vice? No, I am afraid that the Quarter is out of the question. My psyche would crumble in that atmosphere. Besides, the streets are very narrow and dangerous there. I could easily be struck down in traffic or be wedged against a building." Nonetheless, Ignatius takes his hot dog-shaped Paradise hot dog cart and wheels it in the Quarter, where he consumes most of the merchandise himself, starts a fight, and inflicts a cart-related injury. It’s a vivid image for me, as the Paradise hot dog wagons are based on the real-life Lucky Dog wagons you’ll encounter as you walk through the Quarter. These cartoonish carts are the most appealing at the time that it is least advisable to consume its product, when you’re giddy and hungry from parade dancing all day. Outside of the French Quarter, away from Canal Street, lies a wedge-shaped neighborhood called the Marigny, named after a plantation once owned by a dissipated French noble who is responsible for introducing the dice game of Craps to America. Its streets are a little quieter than those of the French Quarter, lined with houses in the long, narrow "shotgun" style associated with the city. "They told me to take a streetcar named Desire, transfer to one called Cemeteries and ride six blocks and get off at—Elysian Fields!" 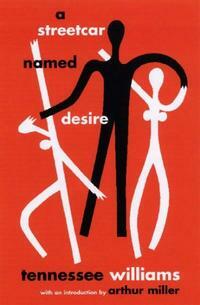 In this tragic play, the descriptive street and streetcar names foreshadow death and decline. In the present day, the Marigny is a beautiful and fascinating neighborhood, and occasionally a final destination when the parades have all rolled but the party won’t stop. Walk along the Marigny’s Frenchmen Street to hear all kinds of music played within small, moodily-lit venues—jazz or blues, rock or reggae, salsa or swing. Walk along Esplanade or Royal and find a café still open to replenish your strength for the next day’s festivities. But if you walk along Elysian Fields looking for Stella and Stanley Kowalski, you’ll need to backtrack toward the French Quarter, where an annual "Stella!" shouting contest is held in Jackson Square during the Tennessee Williams literary festival. There are, of course, many more recent novels set in New Orleans: if you like Anne Rice’s Interview with a Vampire, a stroll through the Garden District will take you to Lafayette Cemetery where some scenes of the movie were filmed. Some contemporary books consider the city’s distinctive culture in light of the historic disaster of Hurricane Katrina; Orleans by Sherri L. Smith imagines life in a post-hurricane dystopia; Dave Eggers’ nonfiction Zeitoun gives an account of one man’s experience of the storm. But there is something comforting in returning to literary classics: despite the struggles of their protagonists, despite the changes that time has wrought on the city, despite the unpredictability and fluidity at the heart of any carnival celebration, New Orleans remains a place unlike any other both on and off the page.